Today’s business world is fast and furious, and running an e-commerce company requires you to stay on top of everything to continue generating revenue and growth. Even if you run a company that involves shipping and fulfillment for a brick-and-mortar store, you still need data to make the right decisions. If you run low on inventory or make preventable shipping mistakes, it could slow down your operations and lead to wasted time and money. To prevent this, you need accurate and real-time fulfillment reports. This information will help you forecast issues, prevent them from happening, and view where your products come and go to make the right decisions. Here’s how receiving fulfillment reports from a 3PL provider can help your business. These reports are tracked by the minute and can be manually generated to show exactly what a business wants to see. For example, inventory updates for specific products are made visible so that the business can make decisions about which materials need to be restocked to maintain the flow of goods as needed. These reports reduce errors by keeping everyone up to speed on various data. Usage reports are necessary to understand which products are more popular than others based on sales, as well as the frequency at which they are being sold. This will help you know which items you need to reduce or increase spending on. This summary is also vital in helping you understand how to prepare for busy seasons like holidays or shopping spikes, so you can avoid backordering items for online customers. 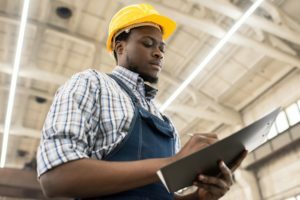 Shrinkage, or item loss and theft, can cost your business greatly; therefore, you need as much visibility as possible to ensure your inventory is being protected. This goes from your physical store to your inventory in the warehouse. Your products need to be tracked item by item, so nothing goes in or out of your warehouse without you knowing about it. Expense reports provide valuable information to businesses because they show them where their money is going. Any additional expenses or maintenance fees will also be displayed in these reports, as well as shipping fees, packaging, and premium offers. Aspects like seasonality, the availability of good labor, marketing and advertising promotions, and the weather can all influence a product’s velocity. The velocity of a product is the rate at which the item flows through a company. Patterns begin to emerge when enough data is collected, which enables businesses to make predictions that can help them adjust their inventory on an as-needed basis. Choosing the wrong carrier can cause a lot of problems for your business. Reports can help you avoid those who frequently make mistakes because they reveal various performance indicators, such as how many invoicing errors or delayed deliveries the carrier has had. This will help you gauge their reliability and speed, so you can negotiate rates and make the right decision for your company. An important decision you must be prepared to make as a business-owner is choosing which products need to be removed from the line. Sales trends may show a product going steadily downward, signalling that it is losing popularity. Once you are aware of this, you need to stop restocking that item. Reports not only reveal which products have become unpopular, but they also reveal the reason why. There may be a newer model available or a new competitor. When the overall trend is recognized, your business will know how to filter and understand this research. Consistent and accurate reporting is vital to running your business efficiently, but if you receive your reports monthly, you may not be able to keep up with speedy decision-making. In today’s busy environment, you need the ability to scale and shift on a dime—taking opportunities as they come and making the most of your operations to cut costs and wasted time and resources. It’s impossible to be competitive without accurate real-time information. You need access to these reports to help you make the right decisions at the right time. APS Fulfillment, Inc. can provide you with quality reports so you can stay up-to-date on everything that goes on with your products, resources, and finances. Our professionals will bring you solutions to your fulfillment challenges. We provide services such as real-time inventory management, e-commerce fulfillment, fulfillment solutions, and fulfillment markets. There are endless benefits to working with a third-party logistics company that uses the best-quality software systems to manage your warehouse, so if you’re looking for the right company, look no further than APS Fulfillment, Inc. You can contact us by e-mail at [email protected] or by phone at (954) 582-7450. A fundamental element of your business involves the process of receiving products, packing, and shipping. Coordinating these tasks requires a considerable amount of effort, and mastering this system is the only way to provide a positive customer experience. The main question to ask yourself is whether you should manage the process with in-house fulfillment or outsourced fulfillment centers. Depending on the size, revenue, and manpower of your business, you may require extra help. Although there are benefits to keeping fulfillment under your roof, it can take time away from more important aspects of your business. Instead of working yourself to exhaustion managing your warehouse, you may be better off growing your customer base and focusing on marketing and sales. Outsourced fulfillment centers can make your life easier and help your business run smoother. Here are some ways outsourced fulfillment works better than in-house fulfillment. When creating an order fulfillment RFP, or Request for Proposal, there are several key points of information you need to include. A third-party logistics (3PL) RFP can help you narrow down the best order fulfillment partner so that your warehouse management needs can be met. Sending an RFP is one of the best ways to find out what each company offers, what their corporate culture is like, and whether they can manage your fulfillment solutions. It also helps you clearly communicate between your company and potential partners so you can make the best and most-informed decisions.